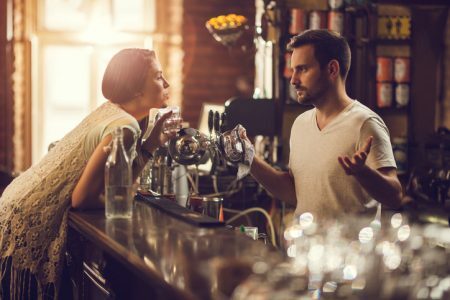 We’ve all seen customers who take things too far while trying to “flirt” with the bartender or are pestering other bar patrons. 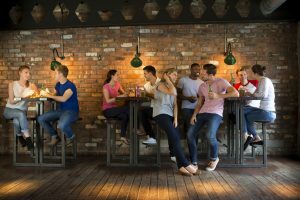 While it might not be enough of a nuisance yet to get the customer thrown out or banned, there are some ways to diffuse the situation before it escalates. If you see a customer that is being irritated or pestered by another customer (let’s call him the problem customer), step in. You can divert the problem customer’s attention by starting a conversation with them. Distracting them by offering them a drink (if they haven’t already consumed too much) or performing a bartending trick will also work. This will give your customer the opportunity to walk away from the problem customer, thus immediately diffusing the situation. Make sure to be low-key in your approach so that the problem customer doesn’t catch on to what you are trying to do. Sometimes drunk patrons turn into problem customers especially when they are alone. Since they don’t have other people with them to diffuse their “creepiness level,” they can come off as too aggressive to others. 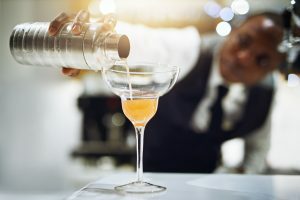 As a bartender, you need to keep your eye on these customers and be aware of when it’s time for someone to step in. Some customers are just weird or ‘different’ if you want to be politically correct. They ask you questions like “Are you happy with your life?” or want a full-out tutorial on how to make drinks while you’re working. Yes…awkward! While you probably wouldn’t date them or be their best friend, you also know that they’re harmless and really just want to seem outgoing. To deal with this, you need to be really good at banter. Laugh at your customers’ jokes and ask them questions from time to time. Understand that every customer isn’t going to be your favorite but they are still paying for your service and are happy to give you good tips. 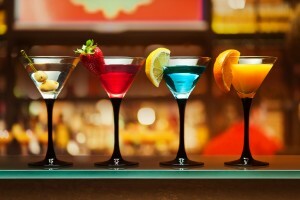 You can avoid attracting the attention of an over-friendly bar patron in the first place by knowing your place. Don’t offer advice and don’t dominate conversations that your bar patrons are having amongst each other. Always maintain proper behavior so that your patrons don’t get the idea that they can run the bar. Once you show customers that you’re not in control, you’ll never get it back.